“Just the facts, Ma’am; just the facts.” Famous words from Jack Webb on Dragnet TV series. 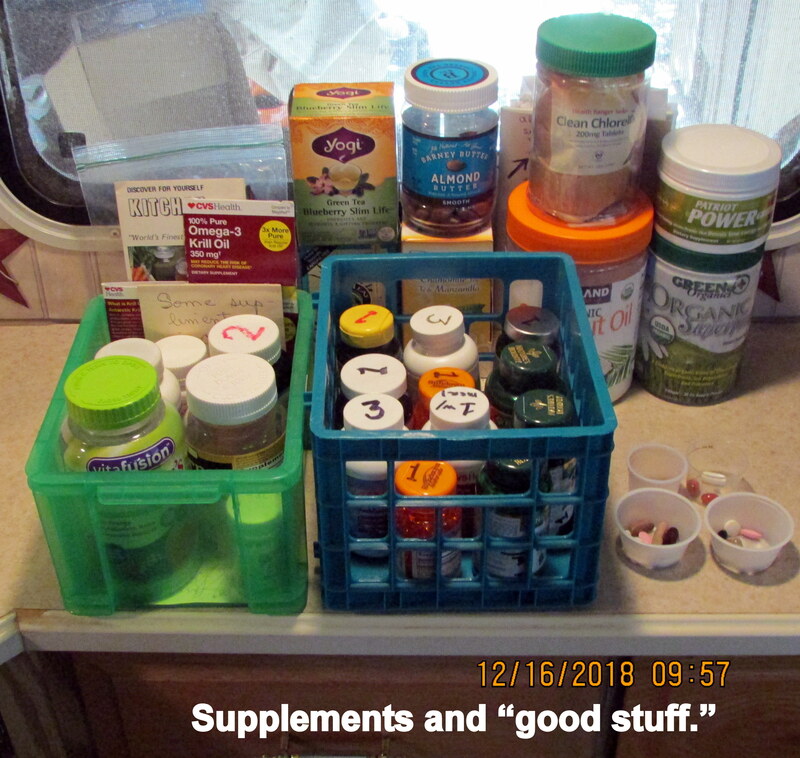 ~~ The old lady has a variety of quality supplements to keep her in good health. 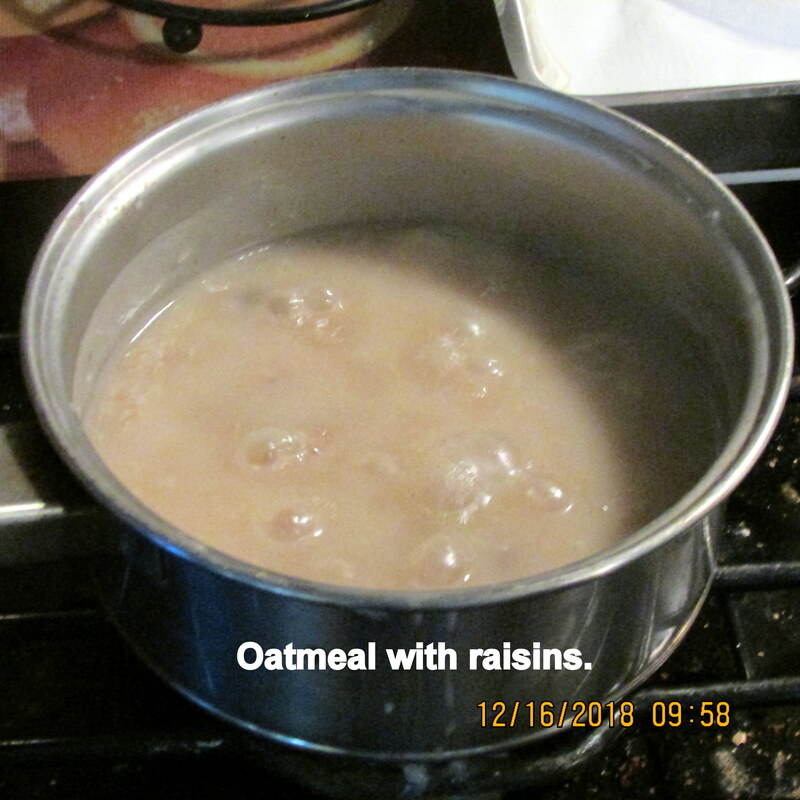 For brunch, add organic steel-cut oatmeal, slow-cooked, with raisins for a bit of sweetness. “I’m cold” was a recent lament. Attempting to warm the trailer, punch the numbers higher and higher. Then the realization: “The furnace isn’t working!! That’s why there has been the odor of propane? !” An RV-friend was consulted about all things propane and the recommendations were numerous. Reading the suggestions, cold and tired old lady wanted to go to bed and cover her head!! ~~ “Cold and tired old lady” is going to don the Slanket and go back to Dr. Scholl’s heated massager. 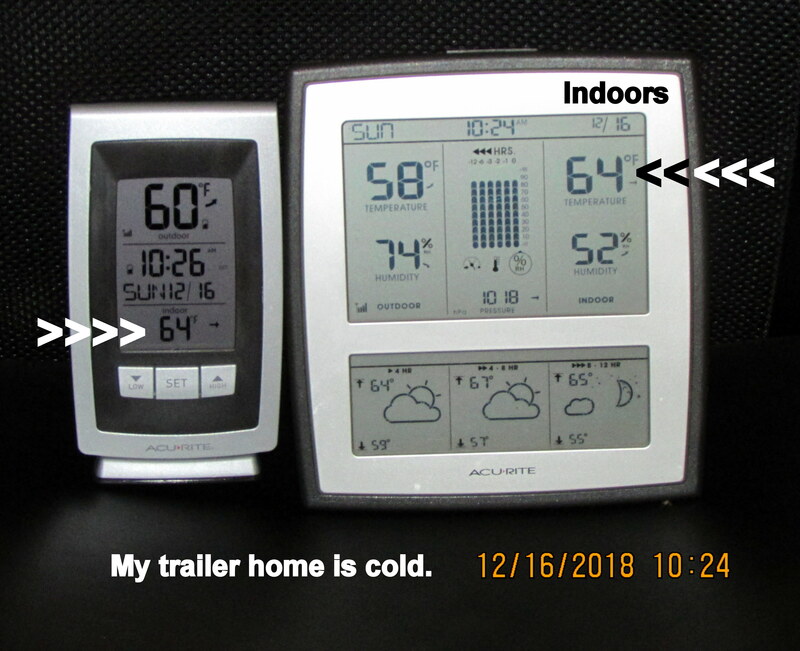 ~~ An hour later and trailer temperature has reached seventy degrees. 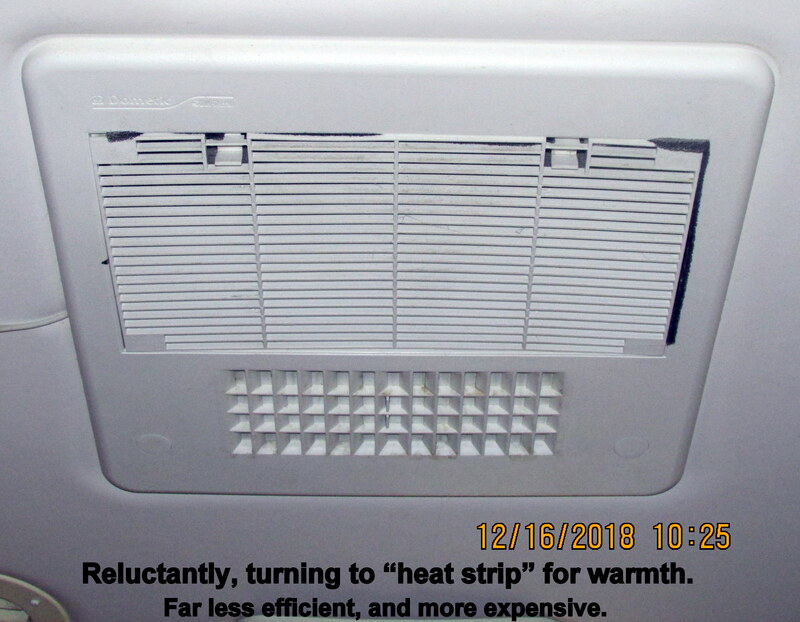 “Heat strip” is less efficient.